Pizza for Reading: Pizza Hut's Book It! I remember Book It! as a clever way to get kids and parents into Pizza Hut franchises—with some reading thrown in. When the program launched in my elementary school in 1984, the deal was simple: read ten books (a goal set by my teacher), get a coupon for a free one-topping Personal Pan Pizza. To a young nerd, this was exciting stuff; I was going to read the ten books anyway, so the pizza was just a nice bonus. In addition to individual rewards, there was the lure of a class-wide pizza party if everyone met their reading goals...but there were always holdouts in my class who didn't manage to read their fair share. The promised pizza party finally happened in fifth grade, and my class of twenty descended on our local Pizza Hut like a pack of starving wolves. (We had just read Julie of the Wolves, if I recall correctly.) This qualifies me as a member of the Book It! Alumni, oddly enough. When I was a kid, the Book It! goals were concrete and simple—measured in my class by a simple "number of books" count, and involving the student handing in a brief summary of the books read. Because the goals were so simple, they were highly exploitable. I did two naughty things to game the system: I counted collections of Garfield cartoons as "books," and on occasion I threw in a few books I'd read in prior years in order to hit the magic ten-book number required for another pizza. We were limited to one pizza a month, but when "pizza day" came around, I was always ready. Today, while it's still possible for a teacher to set by-the-book goals, the program is more focused on time spent reading, as well as time spent reading aloud. For example, for a fifth-grader, Book It! recommends spending 300 minutes per month reading. For first-graders, the program recommends 20 minutes, 5 nights a week—which, assuming a four-week month, is 400 minutes, thus 33% more than the amount suggested for fifth-graders. Book It! was so popular that in 1989, Barbara Bush hosted a "Reading is Fundamental" pizza party at the White House...featuring Pizza Hut pizza. The program is also available to homeschoolers (author's note—thanks to commenters for pointing this out!). The answers to the direct questions about Book It! and being paid to read suggested strong beneficial effects of these procedures. Specifically, of the people who reported being in the Book It! program none indicated that it decreased reading. Conversely, 27 responded that it had no effect, and 80 (74.8% of those answering the item) indicated that the Book It! program increased reading amount. Eight people did report that participating in Book It! decreased their enjoyment of reading. However, 30 people (28%) reported that Book It! increased their enjoyment of reading and 68 (64%) reported Book It! had no effect on enjoyment. The current study found no reliable effect of either participating in the Book It! reading program or of being rewarded with money for reading as children on either intrinsic motivation for reading, or on the self-reported amount of reading per week of college students. Direct questions about the effects of Book It! and/or of being paid to read found the procedures to be beneficial or at worst benign. Indeed, the results suggest that when a child participates in Book It! or is rewarded for reading with money the child will increase the amount read, enjoyment of reading may increase, and if they do not read fluently, then the programs may help the child to learn to read. The study was performed on college students, so it may not be indicative of the broader reading population (for example, what would happen if non-college students were polled?). But still, the study is an interesting read, including the line: "Three responses indicated cheating in the Book It! program." Thank you, scholars, for proving I wasn't the only one. BOOK IT! rewards students with certificates for a free Pizza Hut personal pizza when they reach certain reading goals. A Pizza Hut six-inch personal pan pizza has 630 calories and 27 grams of fat. With a topping, it can have as many as 770 calories and 39 grams of fat. For children ages 3-5, a Pizza Hut personal pizza can contain more than half of their daily caloric requirement, as well as their entire fat requirement. Despite the CCFC's campaign, the Book It! program endures, and even has fans including poets and guys who wear shirts, not to mention nearly 15,000 people on Facebook. Although the published numbers are all over the place, the program currently reaches at least 10 million students annually, and is over 25 years old. That's a lotta free pizza, folks. 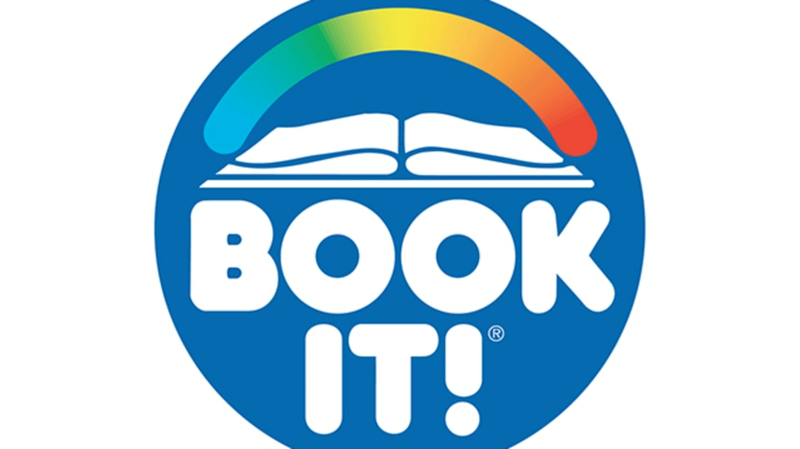 Did You Participate in Book It!? What do you think about the Book It! program? Do you love it, hate it, or have mixed feelings? Share your thoughts and memories in the comments. For the record, I have no affiliation with Book It! or Pizza Hut, aside from participating in the program in grade school.